I hear people saying – ‘I want a relationship’, ‘I miss being in a relationship’. Well, that’s just plain wrong if you ask me. A relationship is not something you just want or have. A relationship is something you make, you build from ground after getting to know eachother, after being through good and bad and not wanting to change a single thing about it all. True relationships are based on people who love and respect eachother, who are there for one another. And that is something you cannot fake. At some point in my life, I was sitting with a guy I just met and we had a nice connection, we could talk for hours and not feel bored. Actually, we did talk for 3 hours in a cafe. And then he said those words – ‘You know, I like you and I think I want a relationship with you’. Oh no. How could he think (first of all, he thought) he wants a relationship with me when he just met me? And second, what kind of relationship are people used to, since they just go and ask for one the moment they met someone? We became too superficial. In life and love also… It makes me unhappy to realise that and it makes me even more sad to write it, but it’s true. People go aroung having ‘relationships’ of 2 weeks and saying ‘I love you’ to the first person they like. The saddest thing of all? Many of them really believe in what they hear. And then we wonder how we got heartbroken. We start to confuse ‘like’ with ‘love’. We ourselves are confused about what they mean and how they feel. We’ve become so eager to have, to feel, to experience something that we don’t know yet, that we throw ourselves into anything that makes our heart racing. We overplay everything and push ourselves into things we can’t handle anymore at a certain point. We don’t even think that maybe someone else will get hurt in all this. We don’t take anyone into consideration, but our need to feel alive. It’s all about the lust. We know no limits when it comes to getting what we think we want. So what if there’s another person involved, a human being with real feelings? Nope, all that matters is here and now. I really did came to the conclusion the we need to know how to play, before we get into this game. My thoughts on the struggle that has become having a relationship? 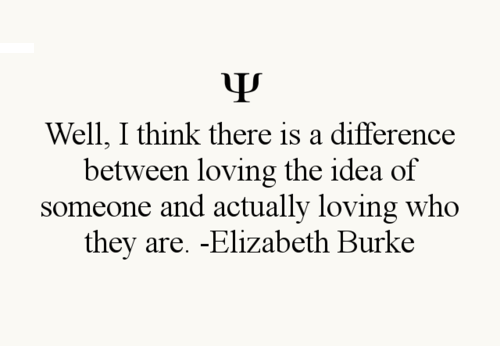 Elizabeth Burke states it too well. Previous Article← How Long is Forever?